Birds are lovely to have around the garden, farms and yard. Birdsongs liven up the place, and they contribute greatly to spreading seeds leading to increasing plant/forest cover. They are also natural pest controllers, as their natural food is all kinds of insects. They consume hundreds of bugs, which can keep gardens and farms free of plant destroying pests, especially in early summer and late spring. At this time, birds love to eat and feed their hatchlings with fresh caught bugs. This fondness of birds for insects make them wonderful natural alternative to pesticides. 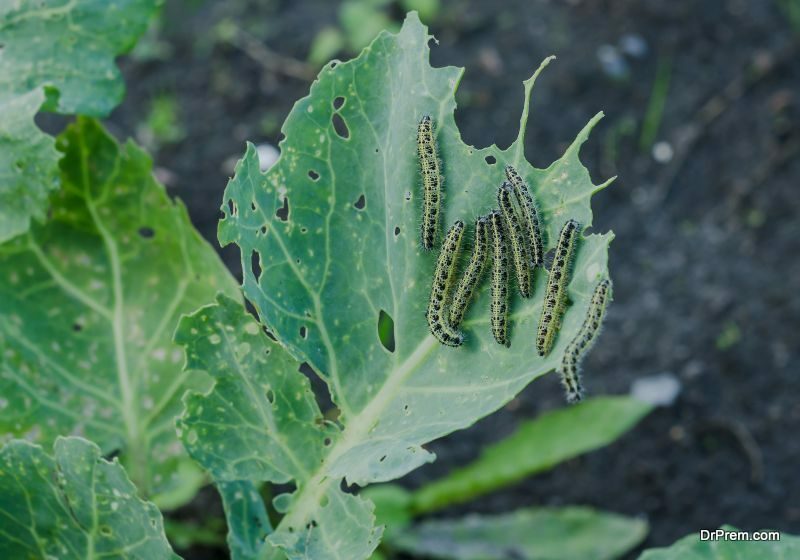 Birds eat up whiteflies, cabbage worms, aphids, earwigs, cucumber beetles, spiders, grubs and grasshoppers. 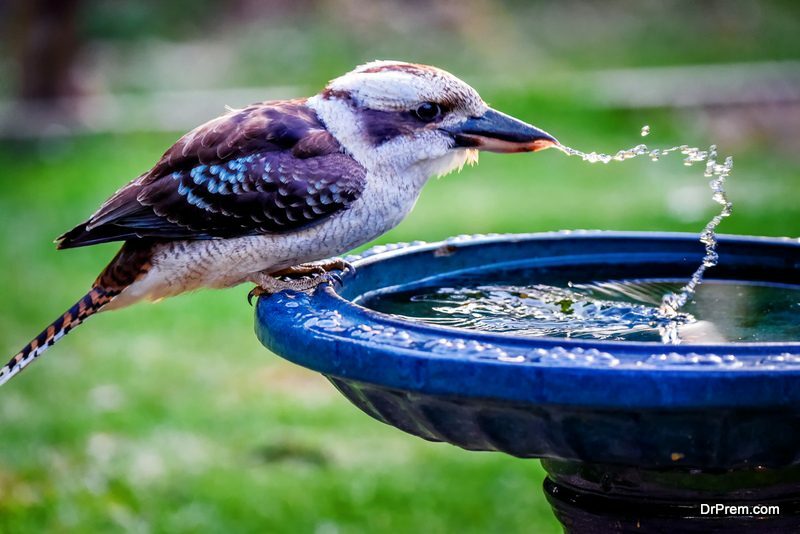 Any insect consuming bird is also attracted by water – water to drink and to bathe in. Did you know that birds are very attracted to moving water? So you can add a birdbath, and an outdoor fountain, which will be a beautiful outdoor garden feature too. Installing a re-circulating waterfall will make the birds flock to your garden. For some eco-friendly farming, using birds as pest control is a great alternative to chemicals. To do this, you have to make your garden/backyard or field bird friendly. Adding cover will provide birds places to take cover or hide from weather. Shrubs and small trees are quite appealing to birds, and if you don’t have any such natural shrubs or trees, you can create an area for them. Birds need places to nest, and nesting birds with newborn baby hatchlings will clear more pests from your yard. Adding cover will help to use birds for pest control. In paddy fields, farmers who farm in eco friendly manner use organic nutrients, which improve the soil but enhance the growth of earthworms. Birds can eat up the earthworms, and adding perches such as coconut or palm tree perches will attract many birds. These birds will protect the paddy fields from insect pests, which reduce the cost of pesticides and helps farmers provide safe food to us. Even though the birds will eat the insects and behave as the best natural alternative to pesticides, they still like to feed on seeds. Seeds blends appeal to grosbeaks, sparrows, cardinals and chickadees. 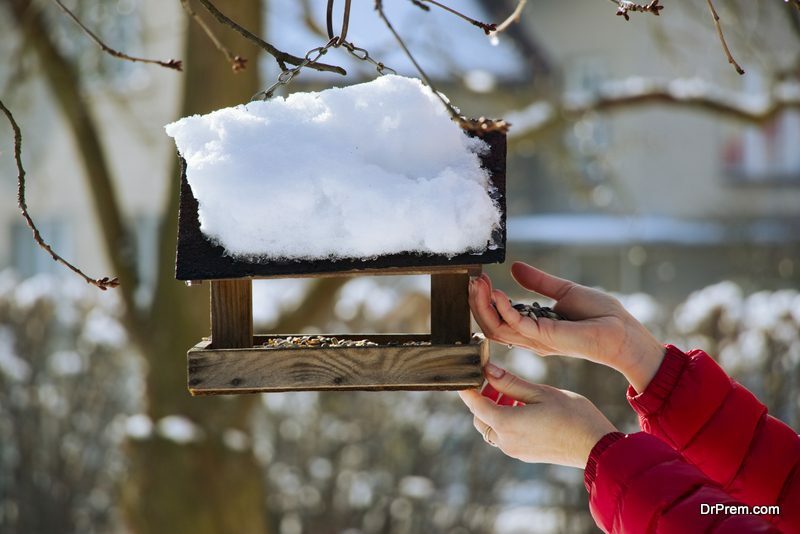 Suet cakes which do not melt in the sun will attract woodpeckers and titmice which will also feed on insect larvae and other insects. So keeping some delicious birdfeed will also contribute to your eco-friendly farming efforts. Wrens are great to control spider populations. Both house wrens and Carolina wrens love eating spiders as well as spider eggs. To invite wrens to your yard, plant some American beautyberry or other low growing shrubs. Provide nesting materials and foods such as brush piles on your garden’s or yard’s edge. To use birds for pest control, especially small pests like fruit flies and gnats, you should plant lots of flowers. Kinglets, vireos, hummingbirds and warblers love to visit gardens which have a good variety of flowering plants, which bloom in different times, as they love the nectar of these flowers. Azaleas, Lobelia (cardinal flower), bee balm, coral bells, foxglove, sage, columbines and trumpet creepers will attract hummingbirds. Spruce, pine, cypress and messy brush piles invite warblers and kinglets. Berry plants such as sumac, blackberry, wild grapes etc will get warblers in droves to your garden. Planting mulberries, willows and Virginia creeper will attract vireos. Japanese beetles and June bugs can destroy the leaves of beautiful garden plants turning them into shadows of their former glory. Their larvae become grubs which eat the lawn grass roots. 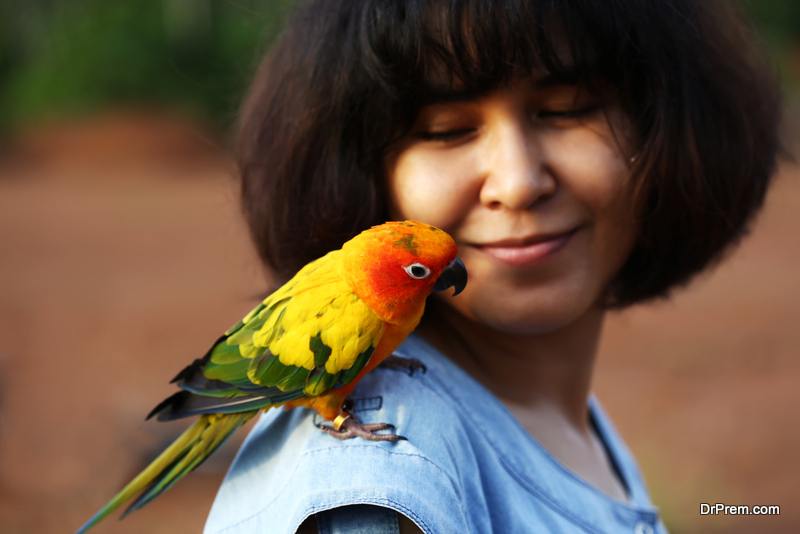 To get rid of these as well as flying ants, you can get your beloved birds to work for you. Make use birds for pest control by providing nesting such as martin house for Purple martins, and bluebird boxes for tree swallows. Barn swallows and Phoebes will nest in barns and sheds, on bridges and houses. The Great Crested Flycatcher build their nests in cavities and use nest boxes too. Whenever you see a wasp or a yellow jacket nest, your first instinct is to destroy it. But instead of doing that, plant some blueberry or blackberry bushes. This will attract the summer tanager that feed on the wasps, and fill your home with their beautiful song. If your yard has tall shade trees, it is a bonus as well, as tanagers love shade trees. Some American fruit farmers use birds for pest control. Fruit farmers are plagued by voles, weevils, grasshoppers, fruit flies and small pest birds. Farmers put up nest boxes for American kestrels which are a small falcon species. If you are a fruit farmer you can use the falcons to control the pest population. You’d be doing them a favor too, as you can help to increase their numbers. 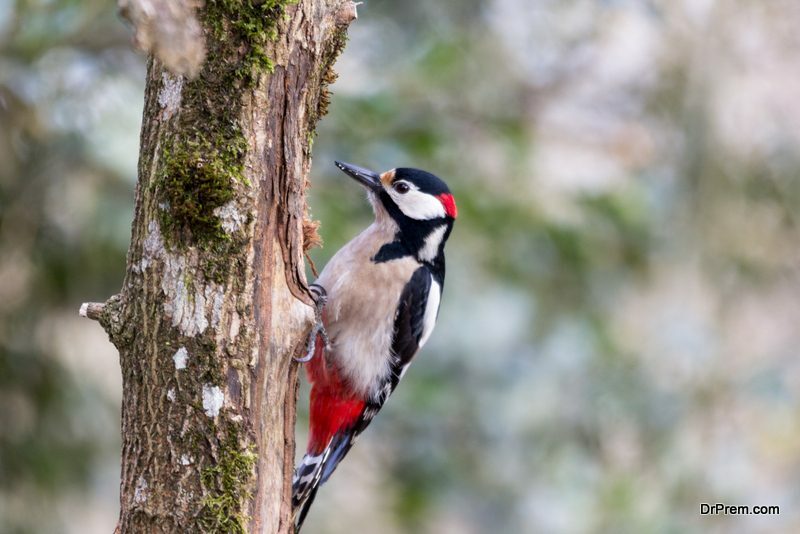 Plant growers all over the world now use birds for pest control. Birds as pest killers add charm to your garden, keep it lively and help you grow food and decorative plants in an organic, eco friendly way.